Rapid Prototyping and allied fields are still relatively young technologies and, as such, their scope and range are expanding at a dramatic rate. New and improved techniques and applicationsare developing and this is reflected in the varied topics covered in "Rapid Design, Prototyping and Manufacture". Efforts to extend the scope of application of three dimensional printing processes is an important milestone in rapid manufacture. This is being vigorously addressed and is well represented in this volume. It now seems to be only a matter of time before three dimensional printing units will join other peripherals in office and domestic computer systems to produce toys, small domestic and office items on demand. 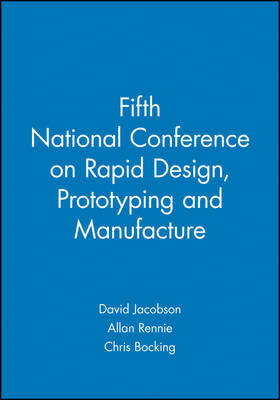 The contents include: analysis of the application of the Z corps three dimensional printing system for rapid tooling for plastic injection moulded components; a novel method for rapid prototyping/tooling/manufacture; Shell/Assisted Layer Manufacture (SALM); accuracy of a novel fused deposition modelling technology; new software tools for reverse engineering parts based on three dimensional volumetric scans; a stuctured approach to the simplification of optimization problems in the virtual prototyping environment; the appropriate application of computer aided design and manufacture techniques in silicone facial prosthetics; application of the Z Corps three dimensional printing processes using novel material to manufacture bio scaffold for bone replacement; and, rapid prototyping manufacture of complex three dimensional microscaffolds used in regenerative medicine.